Most little girls grow up wanting to get married and have children and I was no different. In my senior class memory book, I specifically stated that I wanted to own my own accounting firm, get married by the age of 23, and have three children (2 boys and a girl). Early on, I determined that a career in accounting was not for me, but I never imagined that I would get into my late 40s without ever getting married or having a child. I have watched as friends and family members have gotten hitched (and unhitched), raised children and established families, while, at the same time, I have been in relationships that seemed great at the time, but ultimately didn't result in a trip to the bridal shop. I have to say that there have been times when I have wondered why those pieces weren't a part of my life puzzle, but now I understand that I have my own unique purpose in life and that my ideal family won't fit into a home with 4 bedrooms and 2.5 bathrooms. My family is an extended international village of men, women, boys and girls who believe in working together to reach common goals. There is room for love in my life, but I know that my vision requires me to connect and collaborate with a man whose vision is just as big, if not bigger, than my own. 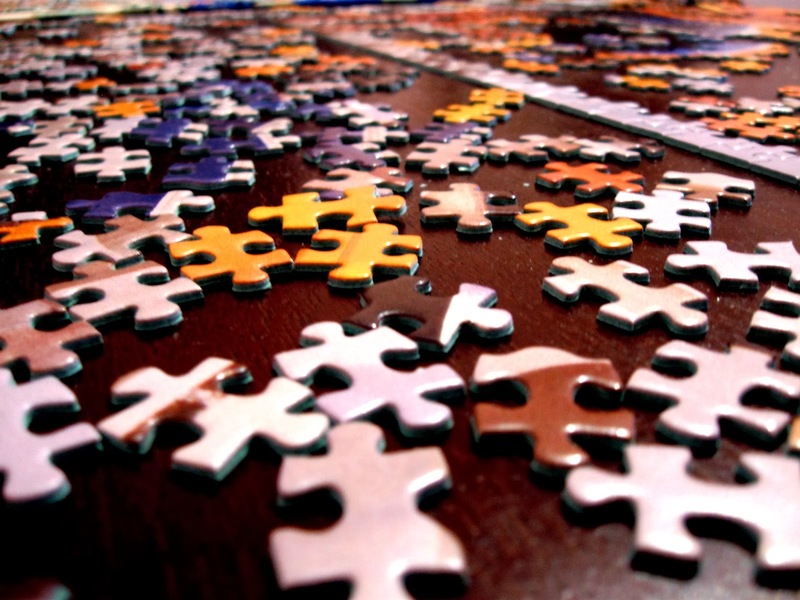 Through trial and error, I have learned that you cannot expect a person with a 100-piece life puzzle to understand or relate to a 1000-piece life puzzle. That doesn't make him a bad person, that just means that he can't help you to be all that you can be. (The same concept applies to friendships, as well.) When I have tried that type of arrangement, I have usually wound up helping him to accomplish his goals (because that's what women do) and I have wound up staring at a bunch of half-completed projects. Jerry McGuire may have raved about finding a person to complete him, but I am much more interested in being with someone who will complement me and not compete with me. These days, I am piecing together a life that will allow me to do the work that I love, with people that I admire and respect, and have a fabulous time while doing it all! My life may not be pieced together in the same way as someone else's life is (or even in the way that I imagined it would be), but it is still a beautiful work of art. Have you been successful at piecing together the perfect life for yourself? If yes, please share your story. If not, what thing can you do today to get rid of the things that don't fit in order to make room for the things that do?